Margaret recently celebrated 30 years as a Zontian, having joined the Hawkes Bay Club in 1985. Margaret has twice served as President of her club and has twice served on the District 16 Board as Parliamentarian. She has attended international conventions in Dallas, Melbourne, Turin and Orlando. 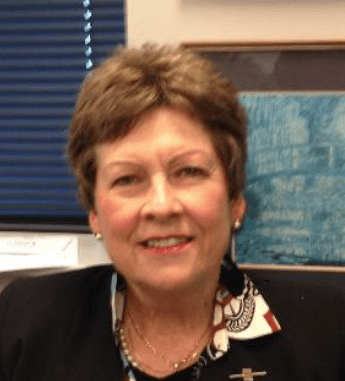 Having graduated in Law from Auckland University in 1977, Margaret is now a partner in the Hastings Office of Hawkes Bay law firm Langley Twigg Law. For ten years she was Deputy Chairperson of the Property Law section of the New Zealand Law Society. Her practice is in property and commercial law and she has a special interest in elder care and estate administration. Margaret’s continued commitment to Zonta International is due to her belief that Zonta makes a difference worldwide to improving the status of women through its international and local service projects.